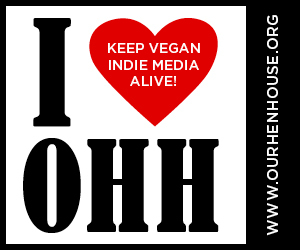 And since we want to show you how super appreciative we are of you, if you add an OHH badge to your website or blog in the next seven days — so, by midnight EDT on August 1, 2013 — you can be entered to win a vegan-made, ethically-sourced Our Hen House tote bag! Just add your badge of choice, then email Danielle at contest [at] ourhenhouse [dot] org with the subject line “OHH tote bag,” point her to your website so she can verify you added the logo, and be sure to include your mailing address. We will randomly select a winner on August 2, 2013, and we’ll email you to let you know you won. 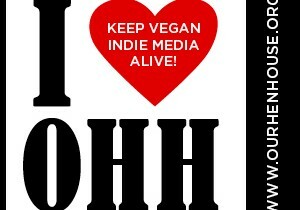 We appreciate your support, and are grateful to you — in advance — for helping us to promote the multimedia efforts of OHH, so that we can all change the world for animals. 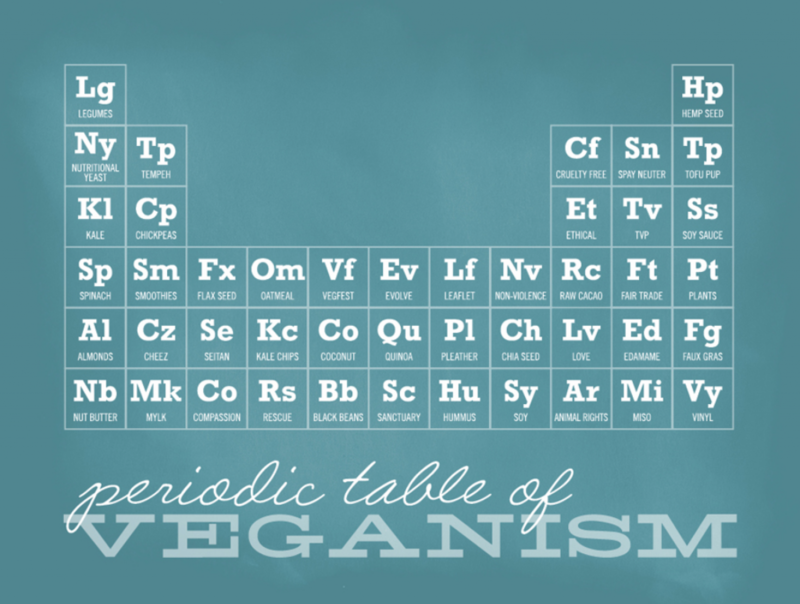 Lastly, real quick, Two Trick Pony is currently offering a pretty sweet “Table of Veganism” print, and each sale benefits Our Hen House. 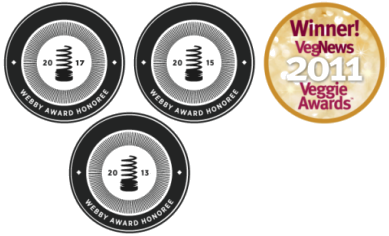 So check out this incredible vegan-run company, and support their work (and ours). Wanna Win a Mug? Special Offer for the Flock! I'm suuuuper non-techy and want to add a badge to my sidebar, but I don't know how to make sure that when it gets clicked on, it goes to OHH? Can you make the code available? Got it, thanks. Apparently I am so techy-challenged that I could not figure out how to click on a link either. Doh! 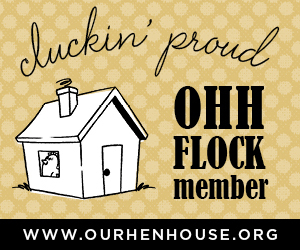 :) BTW, I am so proud to have an OHH Flock Member badge in my sidebar!